SAVE MONEY while we fill YOUR tank! Tym’s will fill the tank you own unlike other companies that swap out tanks and pass on the cost for damage and inspection charges to you! Why pay more for something you don’t own? Most cylinders can be filled while you wait! Tym’s also offers refurbished tanks guaranteed to function like new. These tanks have new or overhauled valves, fresh paint, and recent hydro test dates and are guaranteed to be accepted anywhere. Of course, new tanks are always available in any size or pressure rating. All kinds of compressed gasses at wholesale prices! Instead of wasting your money receiving unnecessary deliveries and minimum charges, talk to us about your compressed gas needs! 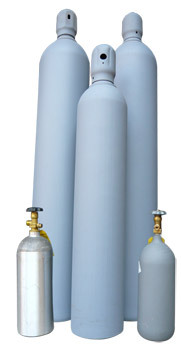 Tym’s offers an array of compressed gases for delivery to business customers. We deliver our tanks for your convenience. 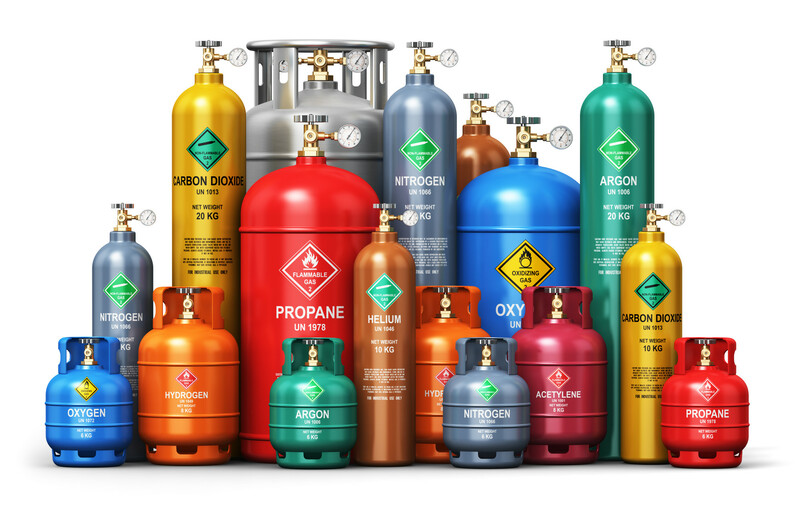 Different gases are supplied in cylinders (or bottles), the great number of which remain the property of the gas supplier. The cylinder itself is a pressure vessel, and the owner, usually the gas supplier, is responsible for the regular inspection of the cylinder. The customary gas cylinder is manufactured to a high specification and can be refilled a lot of times. The supplier is the one who refills gas cylinders like our manufacture facility at Tym’s Inc.
You buy the gas that is inside, and pay rent on the cylinder. Therefore, never dispose of any cylinder unless you are absolutely sure that it is your property. Keep the inventory of gas to a minimum to reduce the rental costs. Since 1948 Tym’s Inc. has become the major source for the utilization of compressed gasses for various industries. We provide a scale of services to businesses and individuals and manage the delivery of compressed gases, repair of fire extinguishing systems, and sale of dry ice. Tym’s Inc. is effective at offering alternative, cost-effective methods for doing business in your industry due to the fact that we serve customers all around the world. 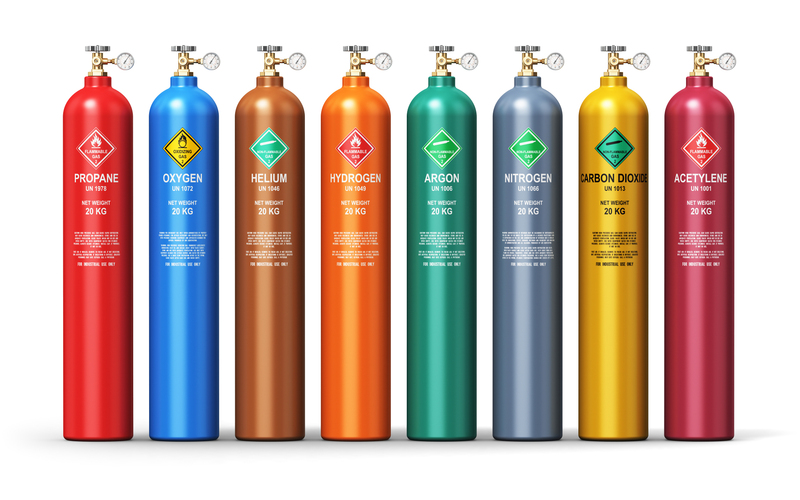 Tym’s Inc. has the capacity to provide a full selection of compressed gases and equipment and is approved by the Department of Transportation to service gas cylinders. With over 60 years of experience in the industry, our team has focused all attention on developing the most innovative and superior compressed gas cylinders and servicing them all around the USA. We leave our customers with high-quality solutions for all compressed gas cylinder needs and take pride in remarkable customer service at every stage of our work. Contact us and we would gladly explain our unique technology and products. Tym’s “Call-in” service can save you hundreds! Unlike some beverage companies that charge you for scheduled deliveries, Tym’s provides an on call service. You order what you need when you need it, without the expense of service call minimums and unneeded deliveries. Tym’s holds Department of Transportation RIN #A907, authorizing us as a full-service hydrostatic testing facility. We also test non-DOT cylinders for engineering tests and for commercial, aircraft, and space applications. Laws regarding compressed gas tanks (aka “cylinders” or “bottles”) are enforced by the United States Department of Transportation. There are a variety of issues that need to be taken into account before having your cylinder filled. Although you may have paid for the tank in your possession, it doesn’t mean that it belongs to you. Some tanks are metal-stamped with identification marks designating their proper owner. For example, a Pepsi tank might be stamped with “PEPSI,” “PBG,” or even “PROPERTY OF PEPSI CO.” It is illegal to transport and fill these tanks if you are not the proper owner. Tym’s will not fill any tank with such a stamp, unless it is marked “SOLD,” and is accompanied with a receipt. Every 5 or 10 years compressed gas containers need to be subjected to a hydrostatic test. The last date will be stamped on the cylinder near the valve and consist of the month and year the tank was last tested. Does it have a protective cap? Large cylinders require a cap to be installed before transport. Tym’s will not allow any large cylinder tank to leave the facility without one installed. Be sure to bring one, or we offer caps for a nominal fee, which can be returned anytime, without a receipt. Is it safe to fill? Some tanks subjected to corrosion, fire, or other damage cannot be filled. Unlike many companies, we do not charge a daily rental for tanks. Compare costs apples-to-apples. Although our competitors charge a low rate for product, daily rental fees add up quick! Tym’s offers our tanks for use for 1 month, without penalty. -Never allow other companies to exchange tanks with those owned by Tym’s Inc.